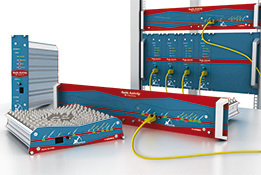 Designing mobile radio infrastructures is an art that requires thorough knowledge. Our products result from our vast experience and the best Italian tradition, for which all details, also the hidden ones, are important. Our mission is to address your specific needs and provide you with infinite solutions. 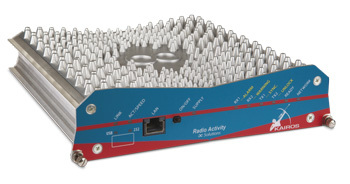 Founded in 2003, Radio Activity is a dynamic and flexible engineering company, specialized in the design of radio devices and applications. We are members of the DMR Association from which we received the accreditation as DMR laboratory for interoperability testing. By designing our own digital and analog radio equipment, we demonstrate our deep knowledge and solid experience in the field of communication technologies. Thanks to its vast experience and multi-disciplinary skills, our team of engineers designs, develops and continuously offers customized solutions to the Professional Mobile Radio (PMR) market. Our production is entrusted to external partners, specialized in the supply and mechanical assembly of electronic components. Our final QC and inspection are performed by our system design team, abiding by the strictest industry standards. Our First level support is provided by our local technical partners, who can quickly address and resolve any issue on-site and in-person. Our Second level support is performed by our in-house technical team, via a remote control console, to guide on-site personnel in the set-up phase, or while troubleshooting. 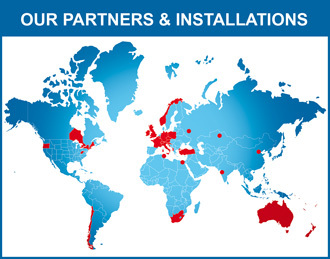 Our devices have already been installed in several hundred systems worldwide, thus showcasing our capabilities in supplying the best solution in a number of different applications, ranging from a simple stand-alone repeater to a nation-wide system.